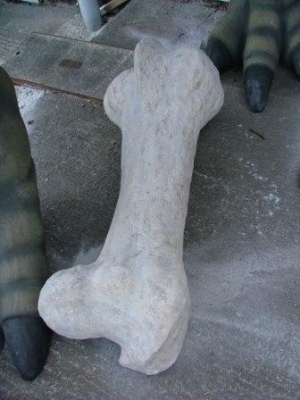 This 3ft 6" resin replica fossil Dinosaur thigh Bone is ideal to enhance pre-historic scenes. 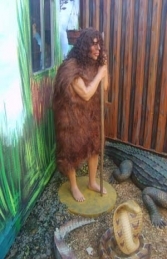 It looks great with all our Dinosaur models, especially the giant raptors. 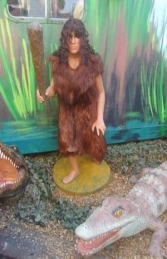 Our Dinosaur thigh Bone model looks great with the other pre-historic models in our Dinosaur theme series or could be used with the Caveman and Cave-woman to represent the remains of a Mammoth dinner. 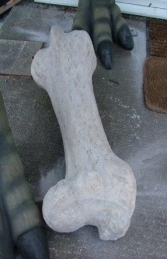 PLEASE CONTACT US ON 01626 833646 or 07860 680181 TO DISCUSS THIS MODEL DINOSAUR FOSSIL& THE OTHER FIGURES IN OUR DINOSAUR SERIES. PLEASE PHONE US TO PLACE AN ORDER & FOR A QUOTE FOR DELIVERY COST TO YOUR POSTCODE.